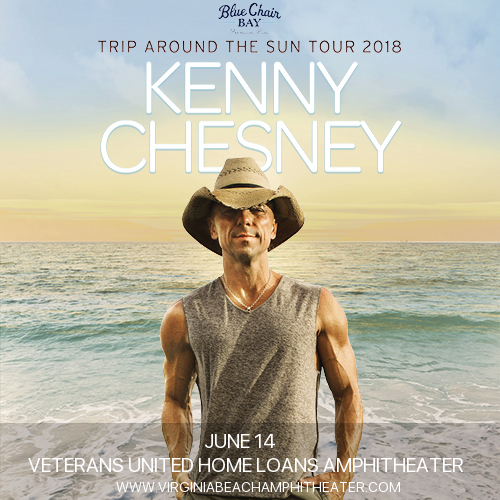 Kenny Chesney fans, are you ready for this?? With Old Dominion, he’s bringing his fantastic live show to the Veterans United Home Loans Amphitheater on Thursday 14th June 2018 – make sure you’re there!! Tickets on sale now and selling fast! Grab yours while you can!! The multiple award-winning superstar that is Kenny Chesney has one of the longest lists of staggering achievements of any country artist ever. With 20 albums, 14 of which have earned Gold or higher certification from the RIAA and endless number ones in the country charts, he also has had huge success as a crossover artist with many of his songs charting at the top of the Billboard 200! With “Live From No Shoes Nation” Kenny Chesney became the first artist in over seven years to have a live album hit the No.1 spot on the charts!! If that doesn’t speak volumes about his live show, we don’t know what will. So get ready to experience the hype for yourself!! Have you got your tickets to see Kenny Chesney and Old Dominion live yet? ?